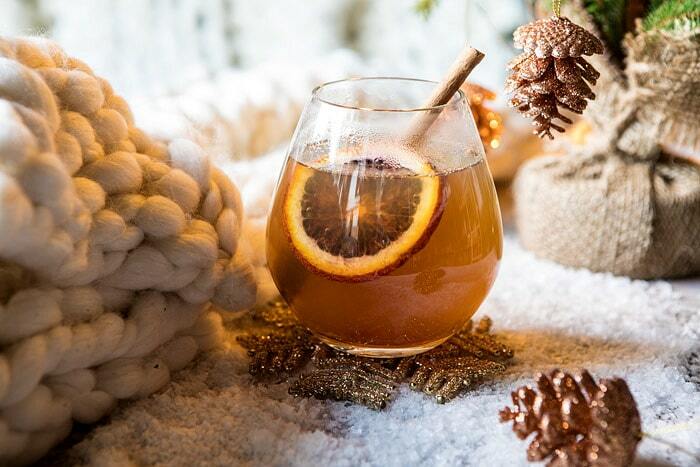 Naughty and Nice Cinnamon Toddy. 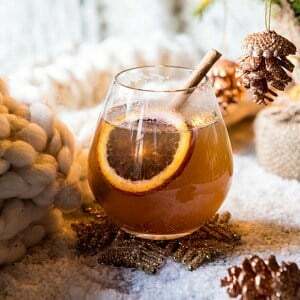 For all of you trimming the tree this weekend, or just snuggling by the fire, this Naughty and Nice Cinnamon Toddy is totally for you. Can you guys tell I’m really having fun with the Christmas Drink Saturday posts this year? I never thought I would say this, but these have really become some of my favorite posts to put together. It’s odd because I’m really not much of a drinker. Like at all. I’m more likely to very slowly sip on a cocktail and can almost never finish an entire drink. 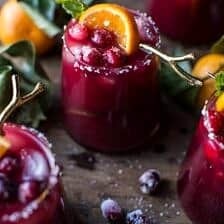 I know, kind of lame, but either way, I absolutely love making these fun and festive drinks for the holidays. 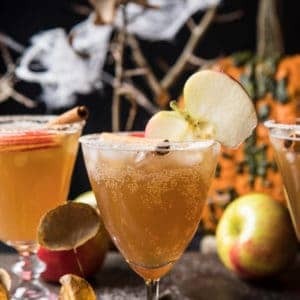 This toddy recipe however? I think I could slowly sip on these all afternoon, and then into the late night. 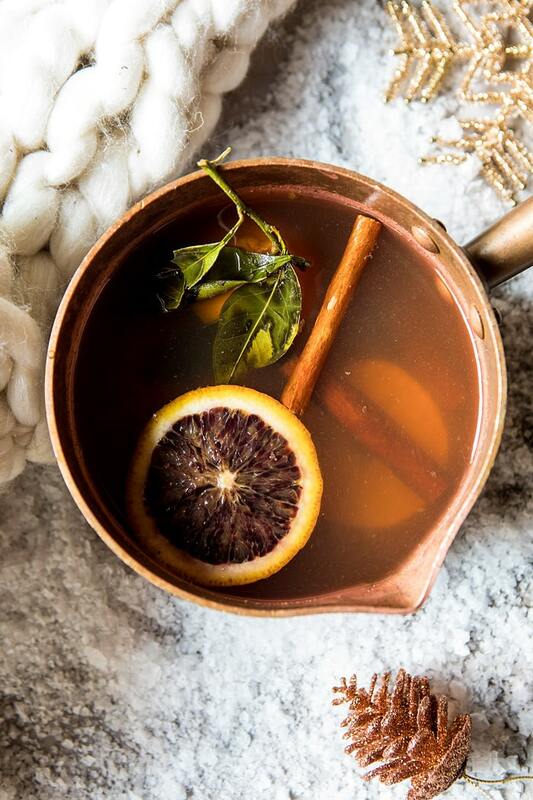 It’s such a warm and cozy drink, perfect for sipping on while decorating the tree, which is exactly what I did with my mom and little miss Asher (she had hot cocoa). We finally cut down our Christmas trees and I could not resist helping with decorating my parent’s tree when Asher so sweetly asked me to come over. I mean, how could I say no to that little girl? I made these naughty and nice cinnamon toddies and we listened to Christmas music while climbing up and down the ladder hanging ornaments. It was the perfect way to spend a Thursday night. While we sipped and decorated, mom and I went back and forth on just what to call this toddy recipe. I love giving my cocktails fun names, so we brainstormed cute options. In the end though? 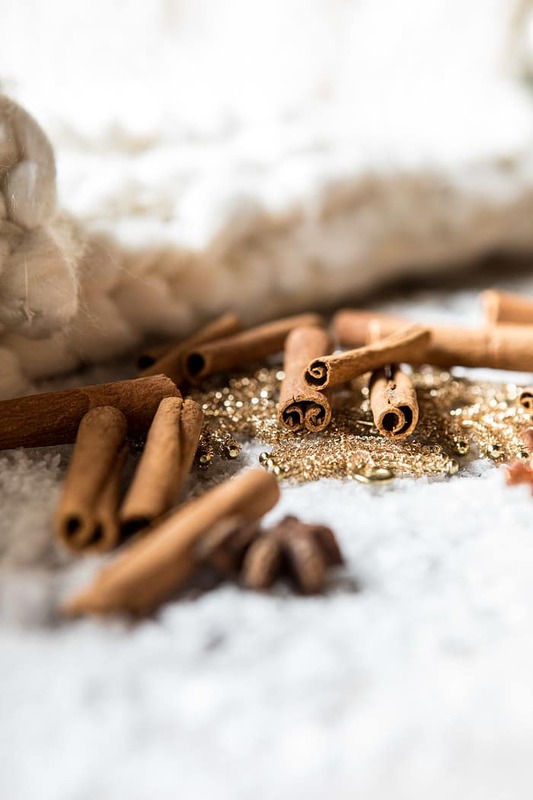 It was actually Asher who came up with the Naughty and Nice Cinnamon Toddy name, and as soon as she said I knew it was perfect. This is naughty because of the bourbon, and nice because of the cinnamon and honey. Anyway, this is a drink my whole family truly loves. 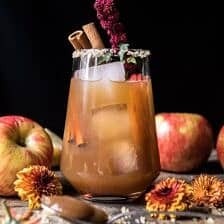 Unlike a lot of holiday cocktails, this is one that I would actually consider healthy(ish) for us to drink. 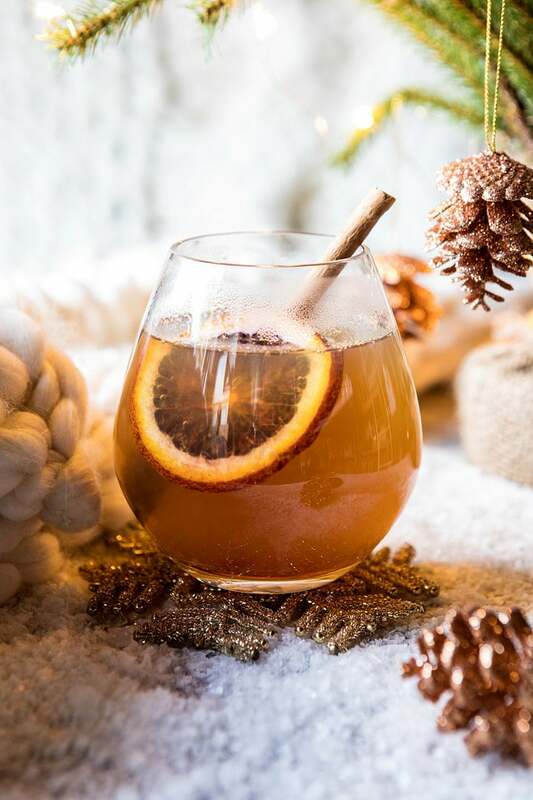 It’s not sweet except for a touch of honey, it’s hinted with citrus, spiced with a little cinnamon, and then spiked with bourbon. I’m thinking it could help cure almost any cold (hello to throat soothing honey, warming antioxidant loaded cinnamon, and cold fighting winter citrus). It’s also warm, which you know I love, especially during these cold December days. My recommendation? 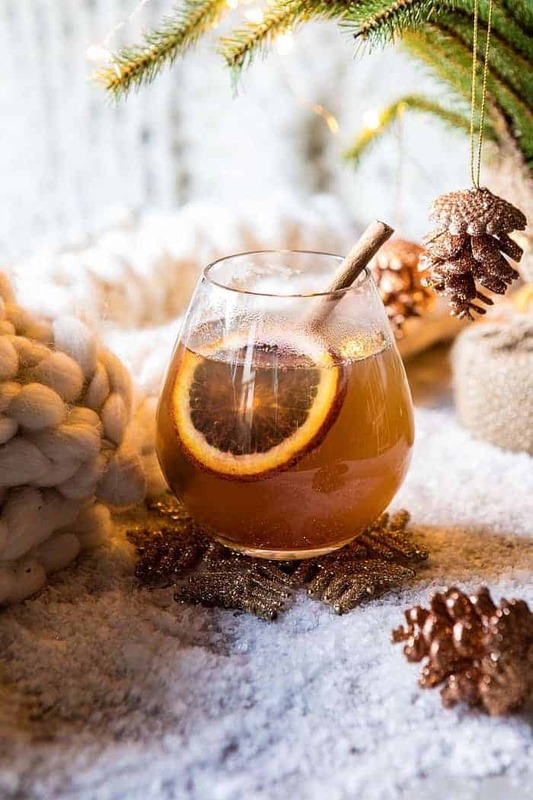 Mix up this warming drink sometime today, tomorrow, or maybe even as a mid-week pick me up (hey, it’s December…anything goes!). I also recommend that you sip on it while sitting by the fire, because I mean, come on, how amazing does that sound? Toddies by the fire on a cold night…perfect! 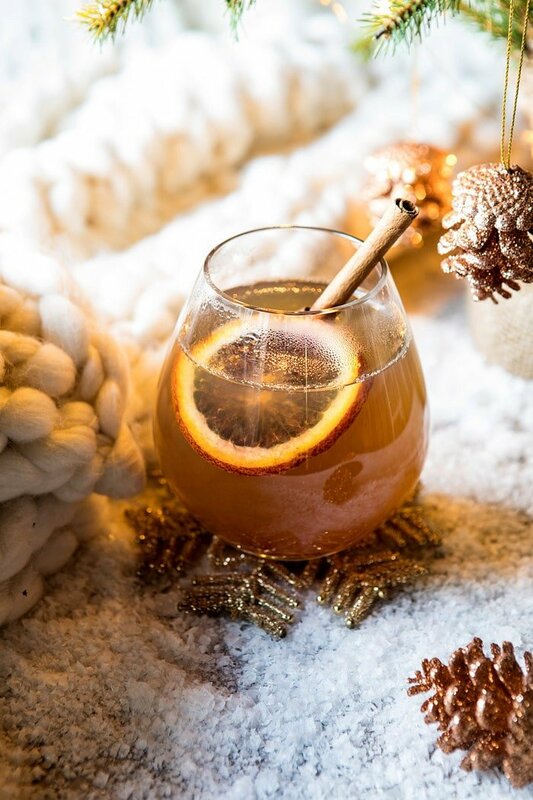 The perfect warming (and kind of healthy) drink...a touch of honey, hinted with citrus, spiced with a little cinnamon, and then spiked with bourbon - see, perfect! 1. In a small saucepan, bring the water, honey, cinnamon, and orange slices to a boil. Boil 2 minutes, remove from the heat, and let sit 5 minutes. Stir in the bourbon and lemon juice. 2. Pour the toddy into a glass. 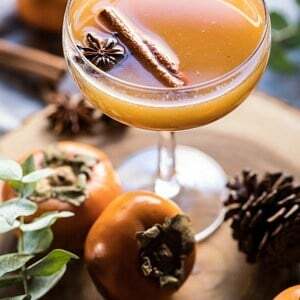 Garnish with an orange slice and cinnamon stick. Enjoy! 1. In a small saucepan, bring the water, honey, cinnamon, and orange slices to a boil. Boil 2-3 minutes, remove from the heat, and let sit 5 minutes. Stir in the bourbon and lemon juice. 2. Divide the toddy's among 4 glasses. Garnish with each with an orange slice and cinnamon stick. Enjoy! Yes, you can count me in on that. That sounds really nice! Thank you Rachel! Thank you Carlos! I hope you love this drink! 7:37 a.m. here in chilly Minnesota…..too early to try this drink?? Looks delicious! Of course not, its the holidays! Lol! I hope you love this drink Barb, thank you! I’m definitely going to make these one weekend thos month ! I’m a cinnamon lover but I’ve never tried it in a cocktail before. Thanks for the recipe ! This looks amazing. Can’t wait to try it.the presentation also look nice. Where did you buy those glasses? That’s soo nice. Yes they so are the perfect drink for some decorating! That is so exciting that she is getting the tree! I hope you love this and have fun! Thank you Kristin! a lovely drink, even if you don’t finish, beautiful photographs too, think I might finish this one though! thank you! I am so glad you like this! Thank you Sabrina! This was yummy and hit the spot – and so easy with simple ingredients! Thank you! It was a nice Christmas Eve Eve (Dec 23rd) drink! I left it on the stove (off heat) all day and the orange slices were permeated with all the different flavors – we ate them, rind and all! I just love your photographs. They seen so natural and fresh. It inspires people to cook. Thank you! I am so glad my blog inspires you! excelente artigo, estão de parabéns, obrigado.